Volume of hospital transactions sets new record in 1997 According to Irving Levin Associates, Inc.
(New Canaan, Connecticut – April 21, 1998) The results of a comprehensive research report on the hospital merger and acquisition market have just been released by Irving Levin Associates, Inc., publisher of The Hospital Acquisition Report, Fourth Edition. The number of hospital mergers and acquisitions increased in 1997 to a record 203 transactions. “This is a continuation of the trend of consolidation among hospitals in this country that began several years ago,” according to Stephen M. Monroe, a partner at Irving Levin Associates. According to the report, a big difference in 1997 is that although the number of transactions increased by 21.6%, the number of hospitals involved in these mergers declined by 14.6%, from 323 in 1996 to 276 in 1997. “There has been an increase in the single hospital merger or acquisition as opposed to the large chain mergers of a few years ago. More community hospitals are deciding that it is too risky to remain independent in today’s world of managed care and are seeking partners,” stated Mr. Monroe. The report also dispels some myths about the trend towards consolidation in the hospital market. In 1997, nonprofit hospital companies were the acquirers in approximately 75% of the transactions, representing 73% of the hospitals sold during the year. “A few years ago, the for-profit hospital chains were expanding rapidly through acquisition. Now, it is the nonprofits who have dominated the market for the past two years,” stated Mr. Monroe. Pricing in the hospital acquisition market has remained fairly constant over the past few years. The average price paid per bed in 1997 was $242,000, which is just 2.4% below the average price in 1996. In addition, the average price to revenue multiple of 0.94 varied little from the previous three years. “Despite the reduced presence of Columbia/HCA Healthcare from the acquisition market during 1997, pricing for the transactions has been remarkably stable,” Mr. Monroe concluded. The Hospital Acquisition Report, Fourth Edition has approximately 150 pages of hard-to-find information on all of the transactions that were publicly announced in 1997. In addition, the report contains an analysis of transactions both by type of acquirer as well as type of target. The Hospital Acquisition Report, Fourth Edition may be purchased by calling (800) 248-1668. 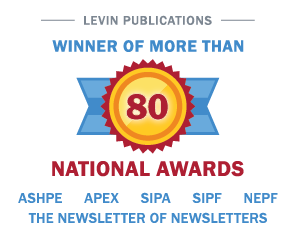 Irving Levin Associates, Inc. is a New Canaan, Connecticut-based research and publishing firm specializing in the seniors housing and health care merger and acquisition market. Founded in 1948, the Firm has 50 years of experience in the health care acquisition market. To keep abreast of this rapidly evolving market and obtain valuable information and statistics to assist you in your business and investment decisions, please call (800) 248-1668 to inquire about the Firm’s other acquisition reports and newsletters. Record Prices Set for Retirement Housing but Nursing Home Prices Declined in 1997 According to Irving Levin Associates, Inc.